This week just flew by! I cannot believe that it’s already Friday. We are looking forward to some very chilly weather (minus rain) this weekend so it’s going to be glorious! 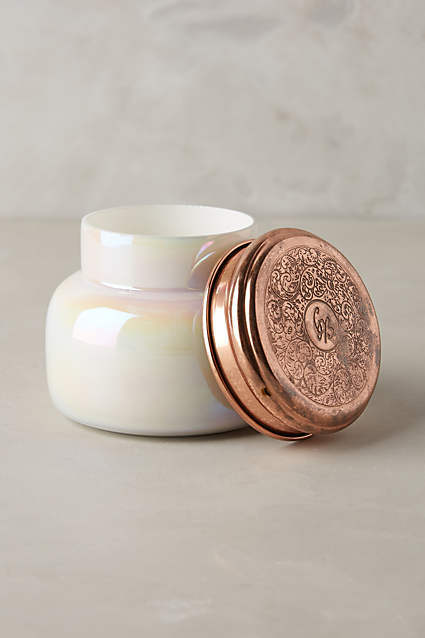 Anyone else notice that all of a sudden everyone has started talking about this candle?? I’ve seen a couple of people say that it might possibly be the best scent in the entire world, I’ve seen a couple of people say that it smells so good that they are giving them as Christmas gifts to every single person they know, and I’ve seen one person go as far to say that this is what heaven must smell like. Well if heaven smells like this candle then I probably need one!! However, we don’t have an Anthropologie nearby, so unfortunately I can’t go see what all of the hype is about. And I’m surely not about to spend $28 plus shipping on one when I’ve never even smelled it for myself. So tell me, fellow bloggy friends… have y’all ever smelled one of these and do they live up to the hype? Public service announcement, everyone – Walmart has a plethora of adorable Christmas leggings for only $3.74 each!!!! They’re comfy, they are so cute, and they’re super affordable so you can load up! I had a few emails about my red and white striped ones that I posted the other day, so I thought I would share with all of you. And they have at least twenty different patterns to choose from, so you can go crazy! Because baby is clearly not under the hat… because the hat is laying on the other side of the room under a pile of toys. 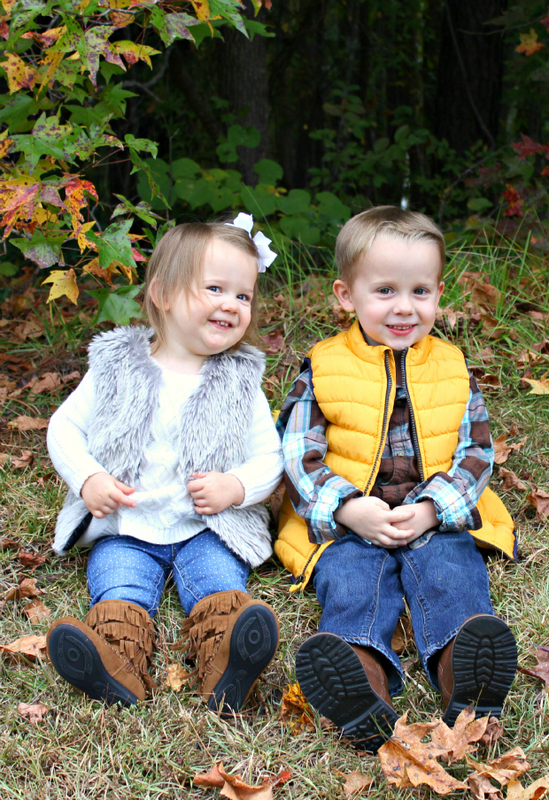 I finally finished editing and posting our fall pictures and you can see the post here if you missed it. Not too shabby for amateurs. As I mentioned above, this weekend the weather is finally getting cooler, and by cooler I mean 30’s for the lows so it’s, like, legit, cool weather. I think I feel a fire in the fireplace coming on tonight! Have a cozy weekend, friends! Linking up with A Liz Adventures for Five On Friday and A Little Bit of Everything for Friday Favorites. Guuuuurl, Eliza does the same thing with those books. They went two years of being perfect. Then little Miss. E shows up and rips all of them! Lordy. I love, love, looooove those leggings! I'll be getting some today. Thanks for letting us know where you bought them! You rock! I feel you!! Jacob was always so careful and loving with books... I don't think he's ever ripped a page in a book since he was born and then comes Olivia... that girl is a piece of work for sure! And yes, go get you some! They're so fun!! AND CHEAP! Hahahaha Ella just stopped doing that to her flap books!! I am also running to our Walmart today to get some of those leggings! I was going to ask where yours were from! Thanks for posting!! Yes, please let me know if you do smell it because I'm absolutely dying to! Guess I'll have to check it out next time we go to the mall in ATL. And go get you some leggings!! I have been seeing that candle all over as well! My opinion is that there are others out there that smell just as good. But it sure is pretty and it does smell really nice. Definitely something you need to smell yourself to decide!! I love your story about the flap books. I love it!